I have reviewed this act in the past and always landed them under progressive rock. I'm going to do the same this time, but don't expect traditional prog rock here. Of course, that caveat applies to the other discs, too. This act is a roots music based group who probably land more because of the art angle (in other words, art rock). Don't get me wrong, there are some decidedly progressive things here. This act takes influences from all over the musical landscape (country, folk, blues, jazz, classical, psychedelia, space rock) and turns into something that unique and very cool. This double disc set includes some cover songs along with a lot of originals. 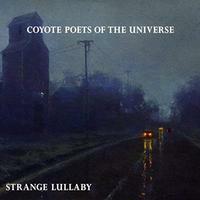 It's captivating from start to finish and a fine addition to the Coyote Poets of the Universe catalog. Mellow guitar leads off this number. The track works out into some killer psychedelic texture from there. This, of course, is a reinvention of the Beatles tune. I love the multiple layers of vocals and what they do to this number. It has a real trippy, dreamy nature to it. This is organic and somehow otherworldly at the same time. I love the rocking groove to that takes over around the half-way mark. The flute dances over the top in such killer ways. They take it out toward klezmer music further down this musical road. The jamming is part world music, part jam band and part progressive folk rock. Some more middle Eastern elements emerge as it continues to evolve. This comes in with some Americana and trippy folk rock at its heart. It gradually drives onward, building upward. Some jazzy and Rock In Opposition styled oddities emerge after the first vocal movement. It shifts to more of a mainstream jazz rock vibe after that for the next verse. The cut gets pretty rocking at times and has a great contrast between mellower and more powered up stuff. This is just a short little instrumental bit that's less than half a minute long. Here they turn their attention to the classic Doors song, bringing some real blues and country influence to the proceedings. This comes in rather jazzy with just a jazz trio styled rhythm section as the background for the vocals. The track starts to gradually fill in after the first verse. This thing gets quite involved and powerful as it makes its way forward. There is a lot of world music built into it. I love the sort of trippy, soaring vocals on the track. I have always loved the original version of this (Booker T. and the MGs). This version works with acoustic instrumentation and really creates something special. I'm reminded a bit of some of Jethro Tull's acoustic jams, but there are plenty of other reference points, too. This is a killer groove that works very well. I dig the jazzy kind of trippy edge to this cut. It has a great groove and really wanders into some particularly interesting musical territory. I dig the old school sounds on this thing. It has plenty of Americana and works into some classy territory. The guitar soloing is so tasty. Mellow textures are on display as this starts. It has a dreamy sort of psychedelia meets roots music vibe. The non-lyrical vocals really drive that message home well. As it builds upward later there is something a bit like Ravel's "Bolero," but with a bit of a country or bluegrass edge to it. The vocals get soaring and operatic. Around the four minute mark it turns out to an old school bluesy, country styled tune with some lyrical vocals. The singing has a gutsy, kind of gritty edge to them. It's a bit musical theater and very much the kind of sound you might expect in a 1920s jazz club. It's quite bluesy and powerful, while the music (and the fact that the lead vocal gradually falls further into the background with the backings ones rise up) brings a bit of a psychedelic trippiness to it. Now this is both tasty and strange. Experimental music that's psychedelic and yet jazzy serves as the backdrop. The vocals are mostly spoken. When they are sung they have a trippy echoey texture to them. This is a dreamy kind of otherworldly track. This is very much art rock and has some space rock and definite Rock In Opposition elements at play. This song is very strange, but also very cool. Here is another song that's very trippy and tastefully weird. Mellow Americana is heard as part of the music. There is a psychedelic, art rock quality to some of it, too. The vocals reinforce that element. This is just a little over two minutes long and mostly dreamy, but it's not a completely comfortable dream. Male vocals are the lead ones here, setting this apart from anything else we've heard so far. Folk music along with weird psychedelic textures creates the music textures here. This is slow moving and dramatic. It is mournful and both bluesy and folk oriented. Bluesy textures start this. Acoustic guitar and violin set up a bit of a call-and-response. The cut works out from there to a country and folk based arrangement that is very retro in texture. This is another with male vocals at the lead. It has a cool groove and some intriguing overlayers of sound. Female lead vocals are back on this cut. It's very much a retro based number that has some classy roots music at its core. This feels like something that would have been at home in the 1940s. It gets some trippy elements added to it later, but they are still roots based. Coming in mellow and a bit trippy. The sounds of that rainy street are heard as part of the arrangement. This is stripped back and quite cool. It's slow moving, and the vocals really add an earthy sort of soulful vibe to the track. I love this cut. It has a lot of roots music in the mix. It gets into some decidedly jazzy territory, There is a bouncy kind of groove to it. It's energetic and catchy. It's also an instrumental that is packed with old world charm and emotion. This is just a short clip of a radio broadcast. This cut is over 15 minutes long. It comes in as a rather trippy blues rocker. There are definitely space rock elements at play, too. As the flute solos over the top of the hard rocking jamming, it makes me think of something Nik Turner might do. As it shifts toward more pure space that comparison is even more appropriate. The vocals come in with a bluesy, soulful delivery as this starts to build toward the more rocking end of the equation. This cut continues to shift and evolve. At times it leans more toward pure blues rock. The guitar solo section is an example of that. At other points it's more space rock oriented. It's all so classy and powerful, though. Jazzy guitar textures open this, but there are definite folk and country elements in the mix, too. The slide guitar in particular brings that to the fore. This is actual a good merging of all three of those types of sound. 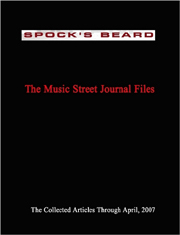 It has a lot of folk music built into it, too. The fast paced jam later has definite psychedelia in the mix along with a lot of jazz. It's so fun and classy. This is set in very much an old time jazz arrangement. It feels like something that flappers would have been dancing to in an old black and white movie. While this comes in slow moving and mellow, there is an electrified element built into it. It's roots music, but delivered with a progressive rock edge. This is evocative and very powerful. While the violin brings a lot of the emotion to it, the vocals are part of that nature of the piece, too. This has a lot of folk prog built into it. I love the killer jazzy groove on this world music based tune. It has some hints of psychedelia and jam band stuff, too. This instrumental has some intriguing shifts and changes. There are soaring moments and some that are mellower and more contemplative. A bluesy rock number, slide guitar is at the heart of this. In fact, other than some percussive elements, it's the only thing happening on this instrumental. The vocals on this track are a poetry reading (of the male variety). The music has a lot of jazz in the mix, but it's also quite slow moving and mellow. It's retro textured and quite cool. Lots of roots music is on display with this slow moving and moody piece. I know a lot of people think this was written by The Animals, but it's actually far older. In fact, it's a traditional track with its origins mostly lost in time. I dig the bluesy kind of groove on this number. There is some jazzy, trippy stuff later in the song. This is a classy rendition. This is a song that was probably best known as being done by Patsy Cline. The track has a slow moving roots vibe to it. It's classy and delivered predominately in a country vein.